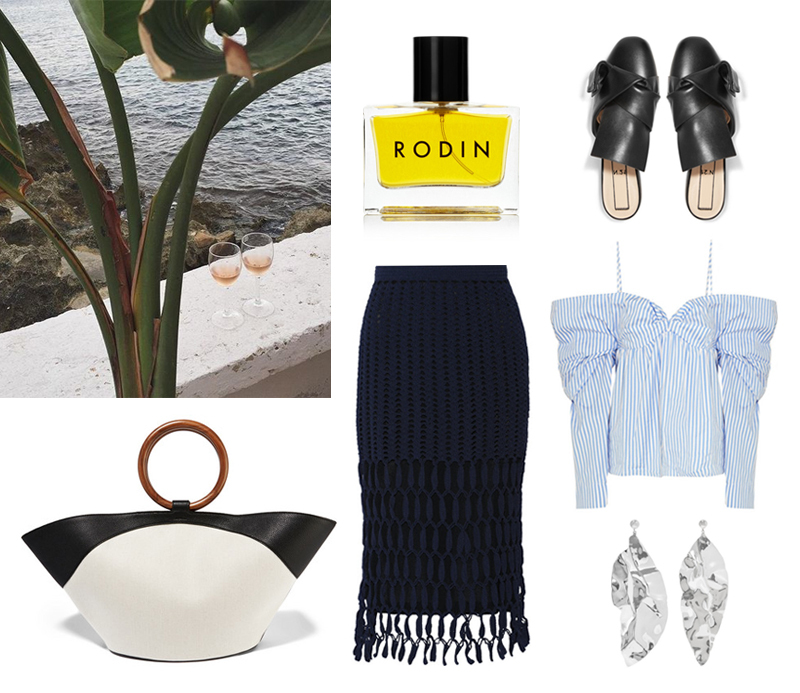 Dreaming about a weekend getaway for two..
PERFUME Rodin. SLIPPERS No.21. BAG The Row. SKIRT Rosetta Getty. SHIRT J.W. Anderson. EARRINGS Sophie Buhai.